Stay at Red Roof Inn & Suites Houston - Hobby Airport when you want to sleep near your next flight out of William P. Hobby Airport. Explore Downtown Aquarium, NASA Johnson Space Center, and see a concert or game at the George R. Brown Convention Center. Spend the day shopping at Almeda Mall and Tanger Outlet Houston, or tour the campus of Houston University. Red Roof Inn & Suites Houston - Hobby Airport keeps you close to loved ones at Ellington Field Joint Reserve Base and the Memorial Hermann Southeast Hospital. 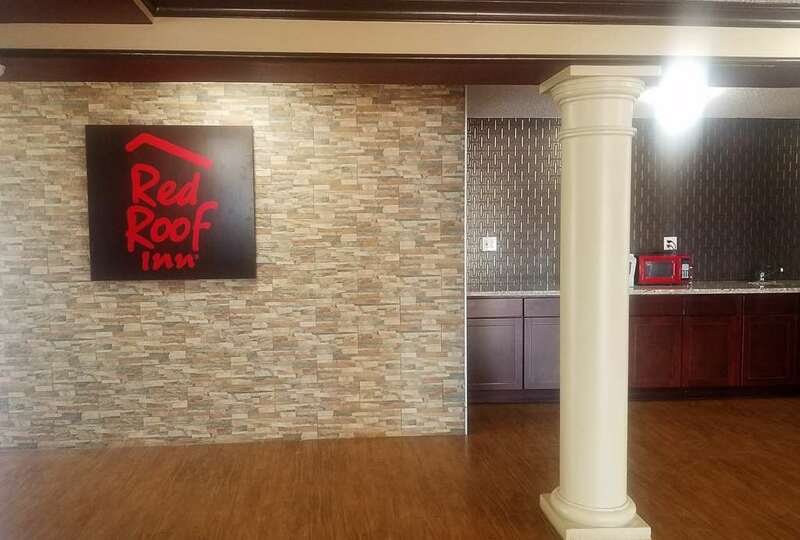 When you return to your room at Red Roof Inn & Suites Houston - Hobby Airport, you can relax with free WiFi, extended cable package and convenience outlets around the room for all your devices. All rooms offer a microwave, mini-fridge, hair dryer, in-room coffee, and iron/ironing board. We also offer suite rooms with a full kitchen for extended stays. Splash around in our outdoor swimming pool and catch up on emails at our business center. We also offer coin laundry and snacks for purchase at our snack center. Travel with your pet because at Red Roof Inn & Suites Houston - Hobby Airport, pets can stay the night at no extra charge! Stay at Red Roof Inn & Suites Houston - Hobby Airport when you want to sleep near your next flight out of William P. Hobby Airport. Explore Downtown Aquarium, NASA Johnson Space Center, and see a concert or game at the George R. Brown Convention Center. Spend the day shopping at Almeda Mall and Tanger Outlet Houston, or tour the campus of Houston University. Red Roof Inn & Suites Houston - Hobby Airport keeps you close to loved ones at Ellington Field Joint Reserve Base and the Memorial Hermann Southeast Hospital.